HomeBlogHome DecorDiamantini & Domeniconi Mozia Clock. 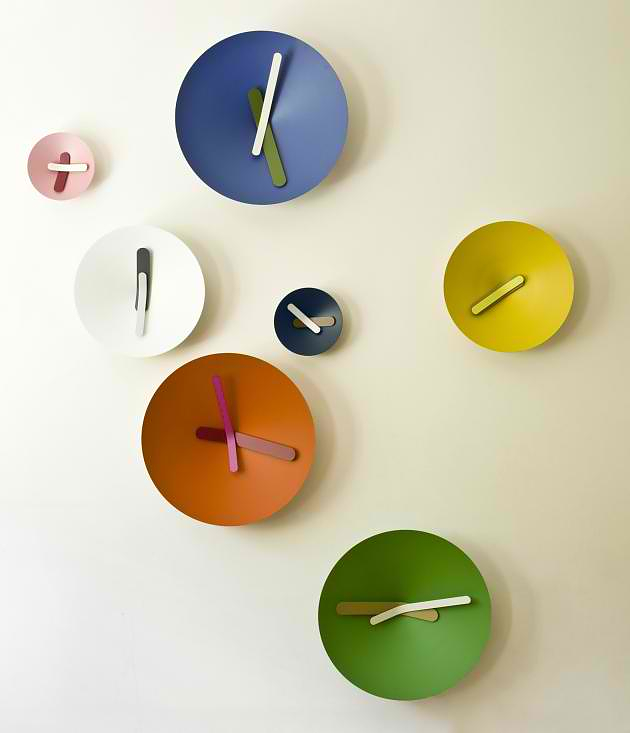 The Mozia clock was designed by Italian architect Giovanni Levanti for Diamantini & Domeniconi. 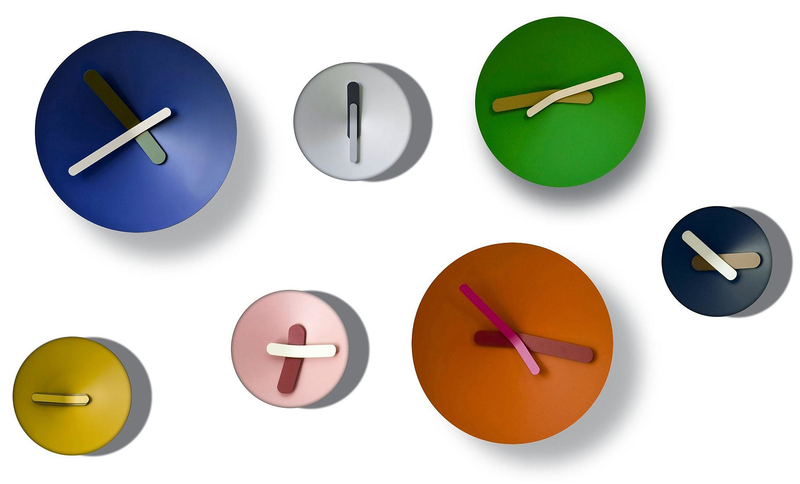 The clock design is minimalist and simple, but also practical and joyful. The conical aluminum dish ads a nice three dimensional touch, while the intense colors provide a pop-art aesthetic. 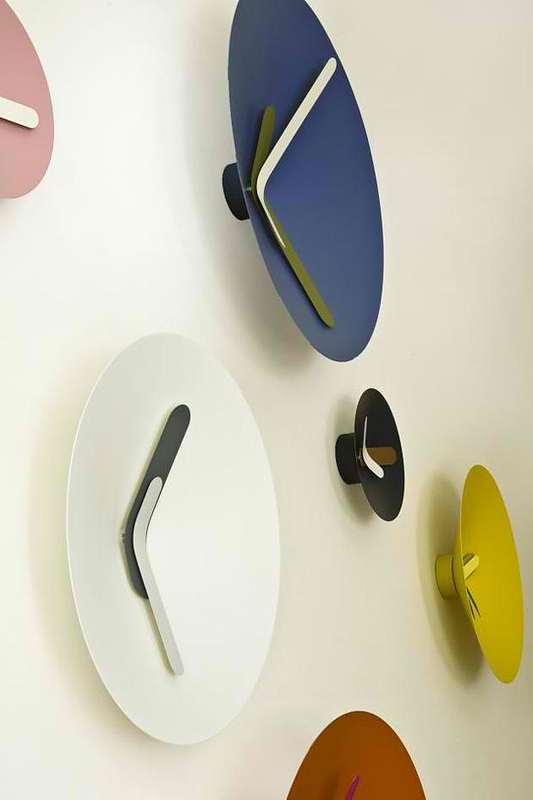 The bold colors of the dish are combined ideally with the clock hands’ aesthetical abstraction, creating a clock with a pleasant and playful presence. Many Mozia in a group will provide a striking decorative effect, while the fluid relationship of the colorful hands while in motion contributes to an original character of the object. Diamantini & Domeniconi Mozia Clock is entirely made of bended aluminum sheets and is available in three sizes: small (26cm diameter), medium (40cm diameter) and large (65cm diameter ).